This was the Flame Guards’ Flame Domain. Currently, Level 20 players only had around 2,600 to 2,700 HP on average, while plate armor cla.s.ses only had around 3,000. On top of that, most players didn’t have any Fire Resistance. Under the effects of the Flame Domain, most players would not last very long. Hence, compared to other Lords, the Flame Guards were far deadlier to the current players of G.o.d’s Domain. Faced with over a dozen Level 28 Berserk Lords, even as a Tier 1 Blade Saint, Shi Feng’s only option was to flee for his life. By the time Shi Feng reappeared, he had already pa.s.sed the Flame Guards’ blockade and was about ten yards from the Lords. The Final Cave’s interior was dark. However, the cave walls looked like the starry skies, softly illuminating the gloom. With the weak starlight, Shi Feng could see up to fifty yards around him. If he encountered a monster, he could respond in time. Meanwhile, inside the cave, the footprints that Shi Feng had previously lost track of had appeared once more. 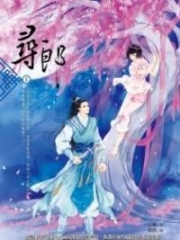 Shi Feng then gradually advanced while following Aqua Rose’s footprints. Along the way, the more Shi Feng observed the Final Cave, the more he realized that this cave was not as simple as it appeared. When everyone noticed Shi Feng’s arrival, their eyes widened in shock. It was as if they had seen a ghost. “Guild Leader, how did you manage to get in here?” the Guardian Knight Cola asked, concerned. “I ran here, of course,” Shi Feng laughed. “Guild Leader, did you not encounter any Earthen Puppets?” Aqua Rose asked curiously as she stared at Shi Feng who did not appear exhausted in the slightest. “A locked Dark-Gold Treasure Chest?” Shi Feng could not help his excitement upon hearing those words. Dark-Gold items were extremely rare in G.o.d’s Domain at the moment. As for Epic items, most players dared not even dream of owning one. Shi Feng had only obtained a few due to good luck. No other Guild had one. “Let me have a look at it,” Shi Feng said as he walked over. 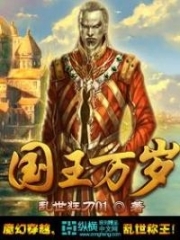 The Seven Luminaries Key Shi Feng had obtained from the G.o.d’s Grave allowed him to unlock up to three Dark-Gold Treasure Chests. He still had two uses left. When he arrived at the Dark-Gold Treasure Chest, he noticed Fire Dance trying to unlock it. However, the difficulty of opening a Dark-Gold Treasure Chest was too high. Fire Dance’s Unlock skill level was not insignificant, and she had a very small chance of unlocking a Dark-Gold Treasure Chest. However, after trying over a hundred times, she had not succeeded. 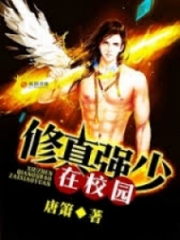 You're Read Reincarnation Of The Strongest Sword God Chapter 424 - Locked Dark-Gold Treasure Chest online at NovelOnlineFull.com. You can use the follow function to bookmark your favorite novel ( Only for registered users ). If you find any errors ( can't read,broken links, can't load photos, etc.. ), Please let us know so we can fix it as soon as possible. And when you start a conversation or debate about a certain topic with other people, please do not offend them just because you don't like their opinions. You're reading Reincarnation Of The Strongest Sword God. This manga has been translated by Updating. Author(s): Lucky Cat. Already has 4007 views. Current Time is 25-Apr-2019 03:59:06 AM.